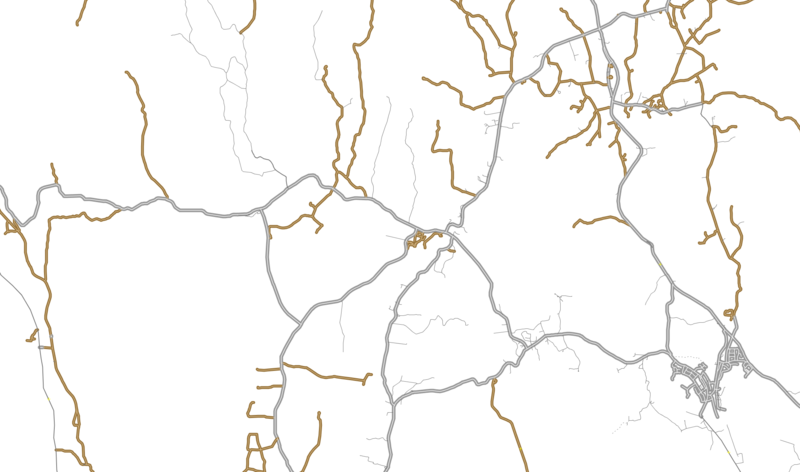 A JOSM Map Paint Style that exclusively focuses on road speeds. It is completely stand alone and need not - but can be - combined with other Map Paint styles. The style is based on a white background with thin grey roads. Main roads (trunk to tertiary) are slightly thicker. All roads with 'maxspeed' are cased in a cascading color scheme. In addition, roads (highway) where motor vehicles are not permitted are dashed, or red (when 'motor_vehices=no'). Combined with filters it creates a clean and efficient mapping enviornment. Link to "http://osm.wzh.be/josm/roadspeeds/roadspeeds.mapcss" from JOSM Map Paint Styles. Name it 'Road speeds'. When it appears in your list of Map Paint Styles, disable all other active styles and enable 'Road speeds'. Style setting to show labels (road names, ref and speeds) at certain zoom levels. Use the first filter is to hide all nodes. This can be deactivated if ways need to be split into smaller segments. The nodes are styled as large and easy to spot. It may be useful to add ortophoto layers and modify them to zero color and low gamma, just to have some reference points. By right clicking the style in the Map Paint Style list and going to Style settings you can enable 'Labels'. This will reveal road names and numbers at close zoom levels. At high zoom levels the road speeds are shown instead. No lables are shown at outer zoom levels. The style changes depending on zoom level. This style is still under construction. A JOSM Map Paint Style that exclusively focuses on road surfaces. It is completely stand alone and need not - but can be - combined with other Map Paint styles. The style is based on a white background with thin grey roads. Main roads (trunk to tertiary) are slightly thicker. All roads with 'surface' are cased in a type-based color scheme clustered around either paved or unpaved. Combined with filters it creates a clean and efficient mapping enviornment. 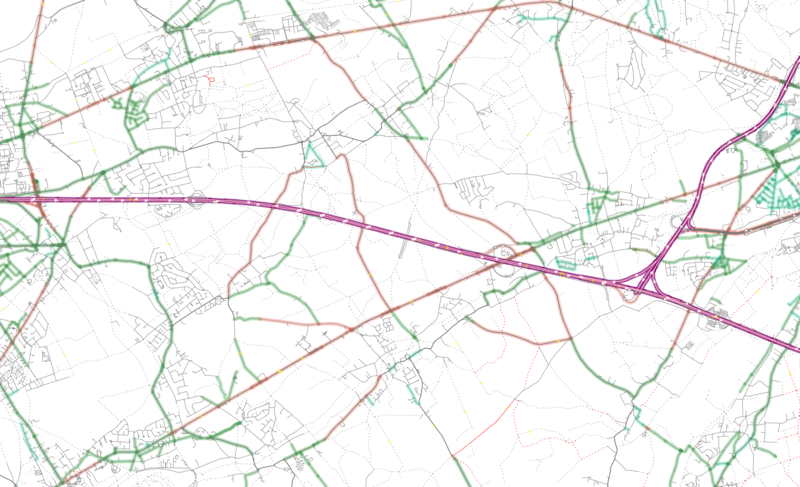 Link to "http://osm.wzh.be/josm/roadsurfaces/roadspeeds.mapcss.mapcss" from JOSM Map Paint Styles. Name it 'Road surfaces'. When it appears in your list of Map Paint Styles, disable all other active styles and enable 'Road surfaces'. Style setting to show labels (road names, ref and speeds) at certain zoom levels. Might be false. 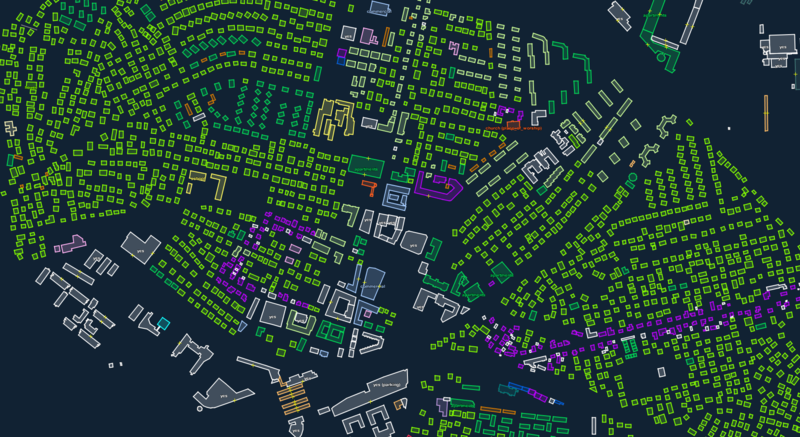 A JOSM Map Paint Style that exclusively focuses on building types. It is completely stand alone and need not - but can be - combined with other Map Paint styles. The buildings are categorized according to similarity in type. For example all residential type buildings are in green colours. Buildings with 'building=yes' are white and a deep purple color works as a catch all for building types not included in the style - which also serves to find bad tags. The building type is listed in text on top of the building, and if combined with amenity this too will show. Link to "http://osm.wzh.be/josm/different_buildings/different_buildings.mapcss" from JOSM Map Paint Styles. Name it 'Different Buildings'. When it appears in your list of Map Paint Styles, disable all other active styles and enable 'Different Buildings'. Use the first filter is to hide all nodes. This can be used when not adding new ways or nodes for less clutter. The nodes are different sizes depending on zoom. They style has some support for building:parts. Single node-buildings are not supported.